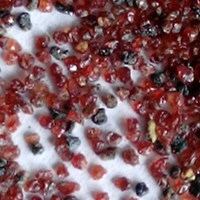 We have more than 10 years experience of garnet sand production and sale. Business Description: HONEST HORSE (CHINA) HOLDING LIMITED was established in 2005 year. We are one of the largest supplier of abrasive .Our main product are Steel Grit, Steel Shot, Garnet Sand and Cut Wire Shot. That can be used in sand blasting, abrasive blasting, water jet cutting, shot blasting field, etc.